The Tlacopac International Artist Residency opened in Mexico City on January 29. 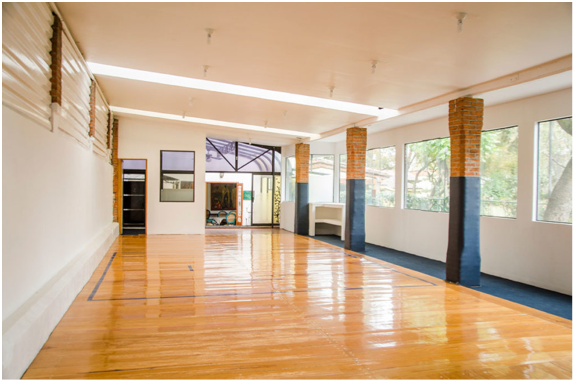 Tlacopac has a large wood-floored rehearsal space, five bedrooms that can accommodate 8-12 dance students or company members, and two to three professors, choreographers or assistants. The residency is excited to meet a need. Only six percent of artist residencies in the world invite performing artists, because performing arts residencies require a large rehearsal space and many bedrooms. Tlacopac is also set up with changing rooms, a steam room/sauna, and leisure spaces that are spacious and comfortable, like rooftops, a garden and patios. The campus is located in a quiet, safe neighborhood in southern Mexico City that has attracted many of the most important figures in Mexican and Mexican-American art history. For further details or an application form, visit crossingbridges.nyc.